SACRAMENTO, Calif. (CN) – The Trump administration’s challenge of California’s new sanctuary laws will remain in Sacramento despite related cases pending in San Francisco, a federal judge ruled Thursday. U.S. District Judge John Mendez rejected the state’s motion to move the lawsuit 90 miles southwest to San Francisco, the venue where California Attorney General Xavier Becerra has sued the federal government 29 times since 2017. Mendez sided with the U.S. Department of Justice’s argument that its lawsuit should not be consolidated with a separate matter in San Francisco concerning Attorney General Jeff Sessions’ threat to freeze federal funding from sanctuary cities and counties. 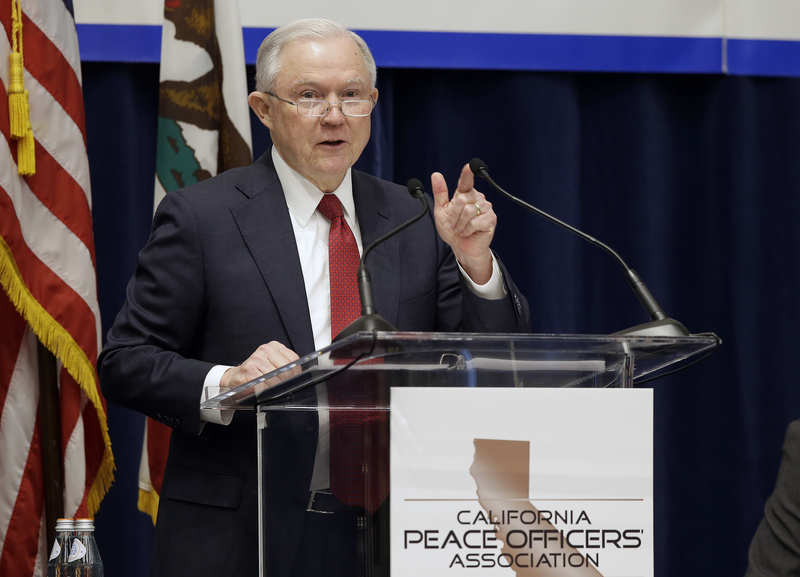 Sessions sued California on March 6 in Sacramento. The federal government says three new immigration laws signed by Gov. Jerry Brown impede federal immigration officers at the risk of public safety. The attorney general bases his argument on a 2012 Supreme Court decision finding Arizona went too far in passing laws that penalized undocumented immigrants. In the 5-3 ruling, the Supreme Court ruled Arizona’s laws were pre-empted by federal law. More than a dozen Republican-led states have asked to file friend-of-the-court briefs in support of the federal government’s lawsuit, while Orange County in Southern California wants to join the Trump administration’s fight against the Golden State. In his transfer motion, Becerra argued both lawsuits involve the scope of state and federal rights over setting and enforcing immigration policies and should be heard by the same judge. He added the possibility of inconsistent judgments between the courts could pose problems and further delay the cases, which experts say could eventually go to the U.S. Supreme Court. U.S. District Court Judge William Orrick III, a Barack Obama appointee, presides over the San Francisco lawsuit relating to sanctuary policies and federal grant funding. Mendez, a George W. Bush appointee, will continue presiding over the federal government’s lawsuit in Sacramento. Mendez said a transfer would cause more of a delay and that the Sacramento court has already dedicated resources to the high-profile case. He noted that the Eastern District of California is one of the nation’s most efficient in terminations of actions per judgeship. As for the possibility of opposing judgments, Mendez said the nearby Ninth Circuit is apt for resolving disputes. California’s opposition brief to the motion for preliminary injunction due by May 4, and the federal government’s response is due by May 18. A hearing on the motion is set for June 20.